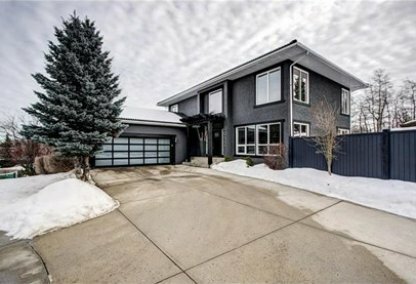 Find the newest Pump Hill homes for sale in Calgary! The community of Pump Hill is nestled in the south zone of Calgary, Alberta, Canada. Its development began in 1967 as a part of its neighboring Palliser neighborhood. It came to be officially recognized as an independent neighborhood in 1991. For information about Pump Hill homes for sale or to schedule a personal home or condo showing call your Pump Hill Calgary real estate team today. Pump Hill housing market statistics: As of April 25, 2019 there are currently 11 properties for sale in Pump Hill listed as active, with an average asking price of $1,322,917. The highest-priced property is $2,495,000; the lowest priced property can be purchased for $919,000. 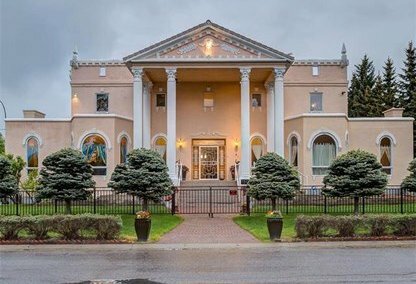 Pump Hill neighbourhood listings have an average price of $414 per square foot, based on listings with 4.6 bedrooms, 4.5 baths, and 3,233 square feet of living space. 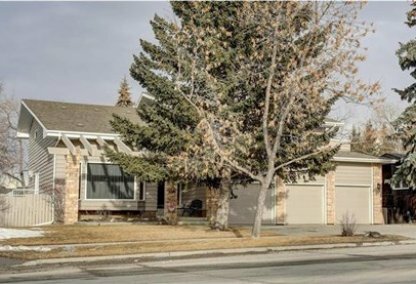 Want to purchase a home in Pump Hill Calgary? Call your Pump Hill real estate team, Justin Havre at RE/MAX First - 403.217.0003. Your neighbourhood Pump Hill real estate agents and agents are here to help with the Pump Hill housing market in Calgary. The community was named Pump Hill because, in the past, a windmill pumped water from a landowner’s farm to the other homes. This neighborhood eventually became one of the most upscale communities in Calgary. A 2000 survey showed that households in this neighborhood had an average annual income of $93,360. Based on a 2006 census, Pump Hill is home to 1,849 residents. Known for its luxurious single-family homes, Pump Hill is also home to condos and apartments which constitute 21.7 percent of the residences in the community. Homes for rent account for 28.4 percent of the neighborhood’s total housing. The starting prices of Pump Hill homes for sale can go as high as the $8-million-plus level. Pump Hill’s area is bounded by Heritage Drive and the Glenmore Reservoir to the north and by 14th Street W to the east. Southland Drive and 19th Street W define the neighborhood’s southern and western peripheries, respectively. For recreational facilities, Tom Brook Athletic Park is a short distance southwest of the Pump Hill neighborhood. The Southland Leisure Centre is also nearby, offering fitness facilities and wave pools. For avid golfers, the nearest choices are Canyon Meadows Golf to the south and the Tsuu T'ina Nation Golf Course property to the southwest. Via 14th Street W, the community’s residents can easily access a mother lode of venues for shopping and dining, such as those at the Chinook Centre northeast of Pump Hill. Two public schools - Nellie McClung Elementary and John Ware Junior High School - are easily accessible from the Pump Hill community, which also enjoys proximity to St. Benedict Elementary. Looking to buy or sell a home in Pump Hill Calgary? Let our team of expert real estate agents help you navigate the search for your next home and negotiate the sale of your existing home. As neighbourhood Pump Hill real estate agents, we know the dynamics unique to the Pump Hill real estate market. We'll help guide your search today! Contact Justin Havre at RE/MAX First - 403.217.0003 to find out more about buyer or seller representation. Selling your Pump Hill home soon? Check out our free home evaluation, where you can view Calgary Homes Values online in minutes!